Sold by Mittal Books India (4.7 out of 5 | 12,336 ratings) and Fulfilled by Amazon. Gift-wrap available. 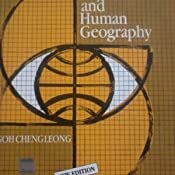 About the Author: Goh Cheng Leong is famous for his books on the topic of Geography and other subjects related to it. 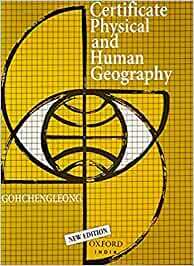 Apart from this book, he has also authored the books, Zz Elements of Geography and Human And Economic Geography. 5.0 out of 5 starsYes... BUY it. Moreover, do read it! A regular for the UPSC CSE aspirants. It is a nice place to star the preparation but it is not everything that you have to know. You cannot clear the exam with this book but without this also, it is hard to clear the exam. 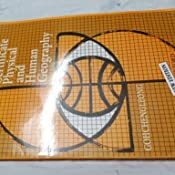 A must do book for basic understanding of Geography for UPSC exams. Also those who read it for knowledge, it makes every concept clear in easy language. With Atlas, this book gives you imagery of Physical geography. 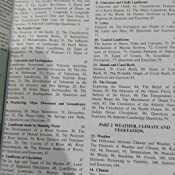 Read and reread several times, you'll not miss 99% of questions of physical geography. 3.0 out of 5 starsDisappointed by the print quality. Not up to the standard. I think Oxford printing standards are not up to the mark. Just as some others said, the cutting and alignment of content in pages isn't right in every page. The copy I got has 15 continuous pages bonded upside down, which is a terrible job by the printing/publishing team. I haven't read the book, so nothing to say about the content right now. The book comes with a hologram sticker of Oxford, so it's probably not a fake copy rather a bad print. 5.0 out of 5 starsVery very very good book. Jakkas. 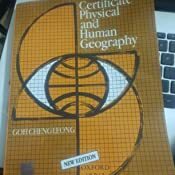 Certificate Physical and Human Geography Very good book. Worth buy. I got the book delivered today. It was in new condition. Oxford University Press. Print quality is good. Book binding is okay. I don't see anything wrong with the book. I am not giving it a five star because at some of the pages, the page number is not printed. I don't think it is the fault of the seller. Product is really awesome especially the paper quality. Very good book for physical geography. I bought it by reading the reviews on amazon. Very nicely explained topics. Strongly recommend every aspirant to have this copy. Got this at special price of Rs.192 only. I expected this book very genuine because of oxford, but the paper quality of this too bad, very thiny paper, its not a original product. Ir's looks like a coloured photo copy, Am very disappointed.